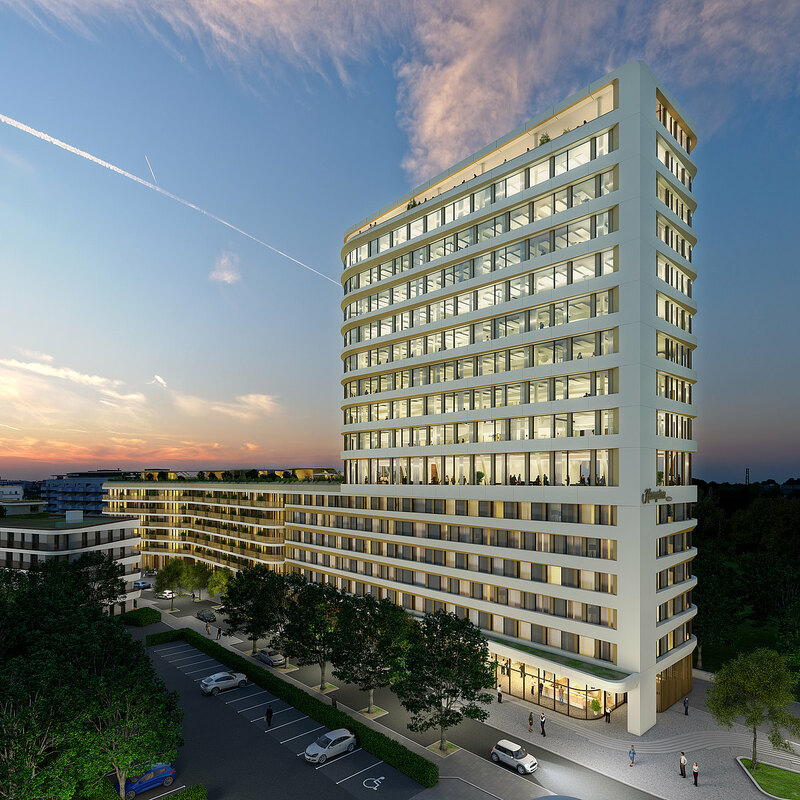 A new landmark will be developed for the expanding Munich district of Baumkirchen Mitte: the NEO office and hotel tower. 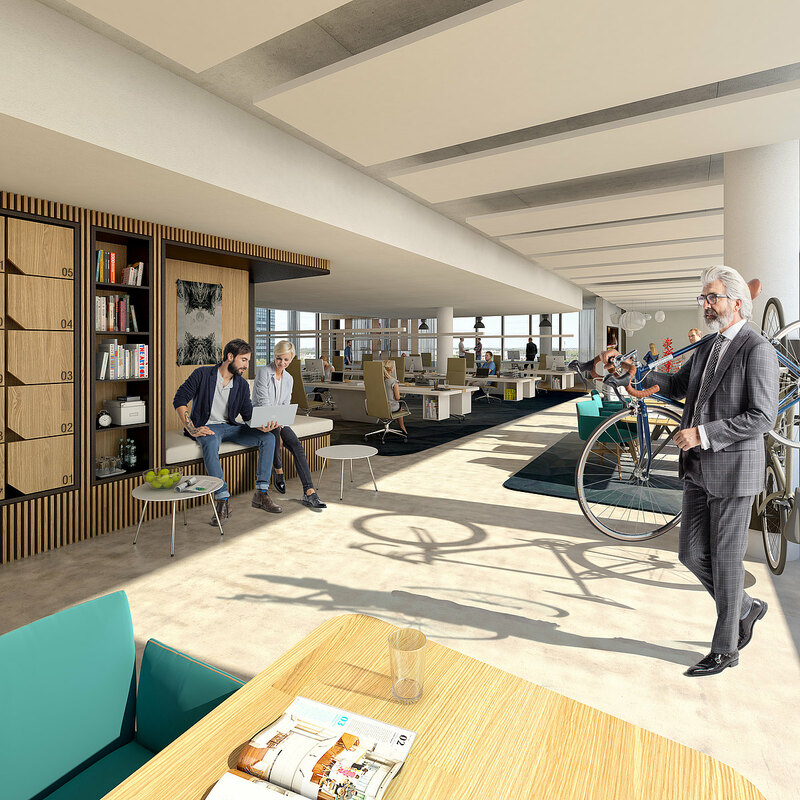 The attention-grabbing district will be home to living and working environments. NEO will be developed by CA Immo. NEO consists of a base building with 50 high-quality flats and an approximately 60-meter-high hotel and office tower. 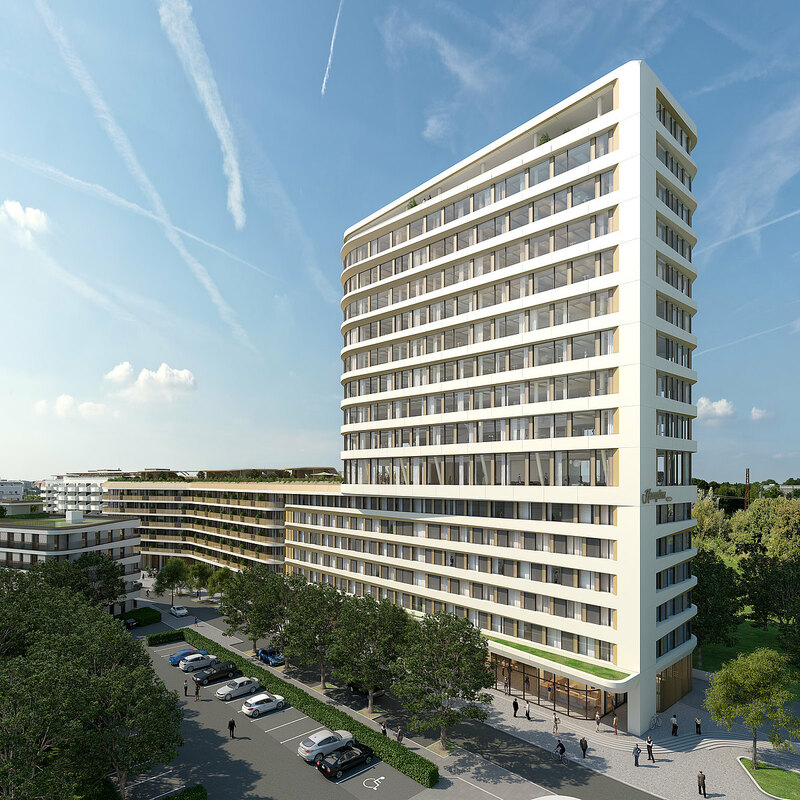 The company tristar GmbH Hotelgruppe has been signed as long-term tenant for the hotel occupying the first six floors of the NEO property, operating a Hampton by Hilton brand hotel with 143 rooms. 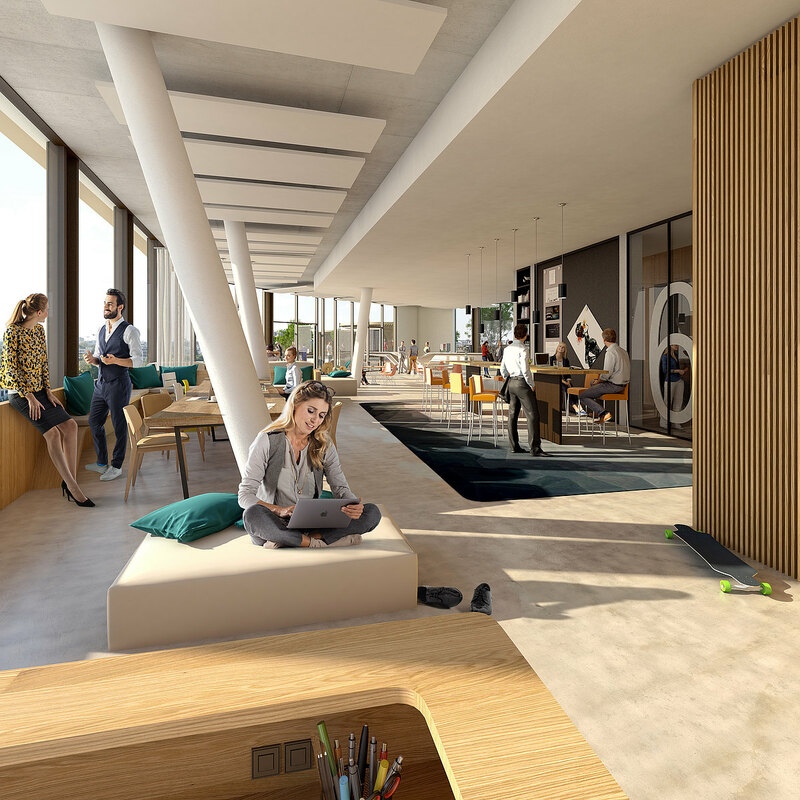 The top floors of the NEO tower hold a total of 8,500 m² of gross modern office space. 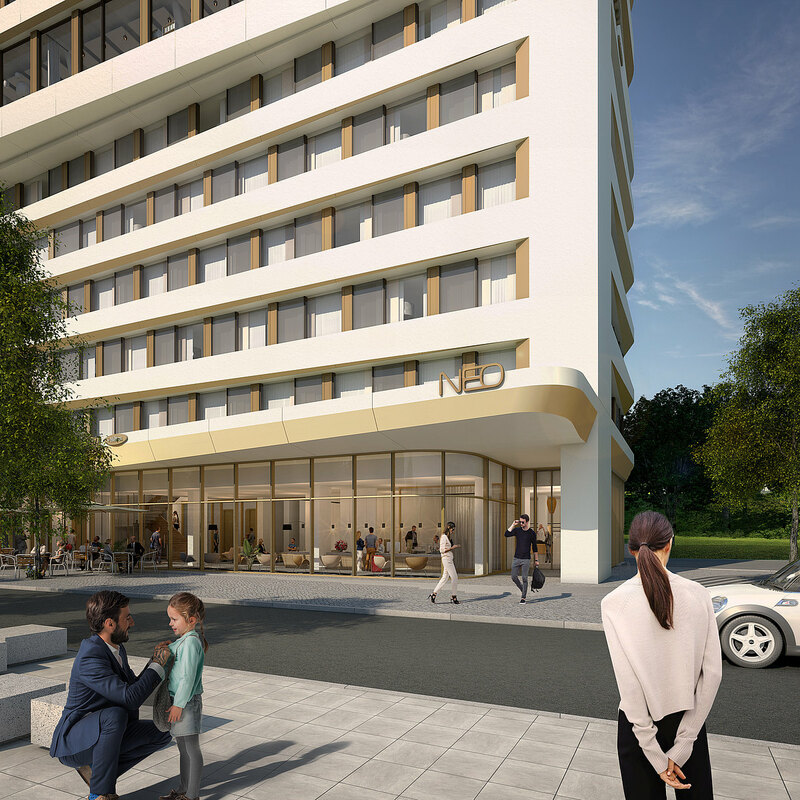 CA Immo plans to transfer the office and hotel section to its portfolio, while the apartments will be sold. An architectural competition was won by the imaginative draft of Dutch architects UNStudio. The organic shape of NEO was deliberately chosen, with striking curves making for unusual floor plans. The architectural design, in which naturalness and greenery play a strong part, establishes a direct connection with the surrounding quarter; in turn, its naturally inspired lines infuse the space used by office workers. The same approach is consistently reflected on the interior of NEO, which has a bright and airy atmosphere throughout. All conceivable forms of modern office are feasible within NEO, with commensurately high standards of comfort. 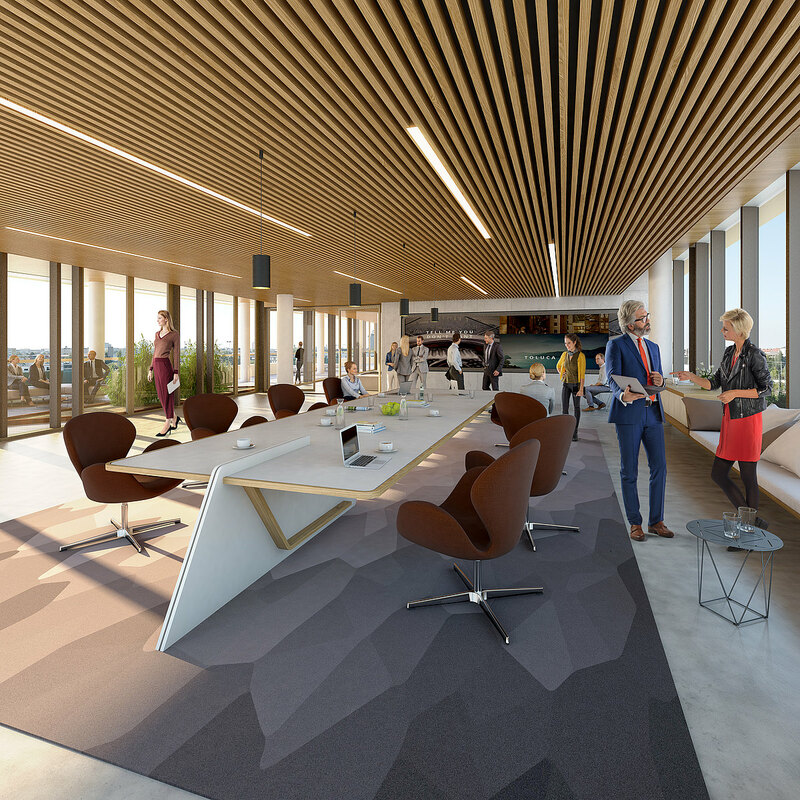 Open-plan meeting and communication zones alternate with offices where people can work in quiet surroundings. Green roof gardens make pleasant meeting places for staff and visitors alike. The infrastructure also meets the needs of a balanced and liveable environment. The district on the doorstep offers a broad range of shopping, restaurants and retail outlets, with expansive green spaces and parks providing ideal areas for relaxation. The pair of daycare centres within walking distance will help employees reconcile family and professional demands. Do you have any questions, or need more information on NEO in the Baumkirchen Mitte district of Munich? Simply contact us!